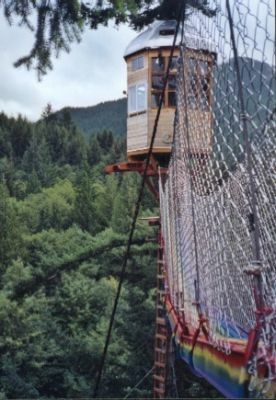 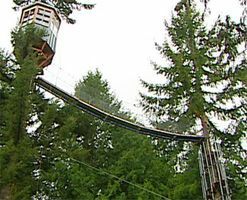 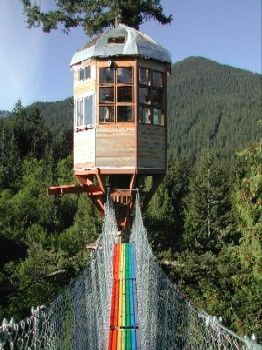 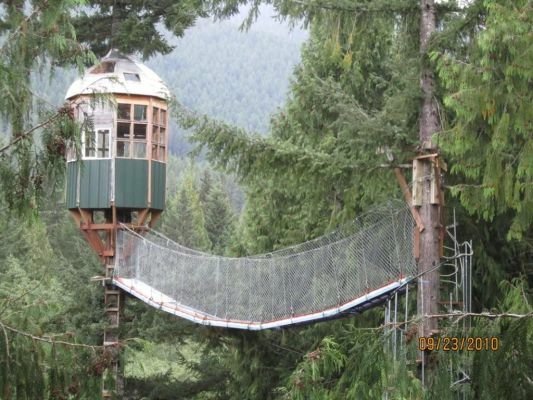 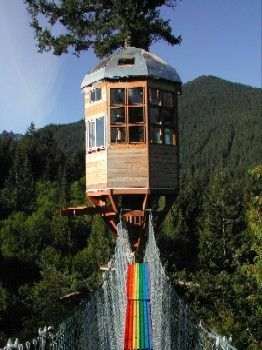 Constructed 2000-2002, the 100 foot high octagonal Cedar Creek Treehouse Observatory offers breathtaking views of Mt. 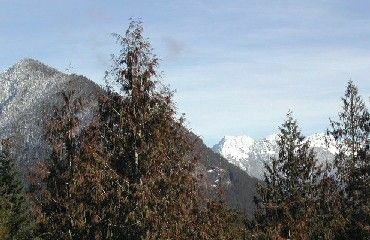 Rainier, Nisqually valley, and surrounding peaks. 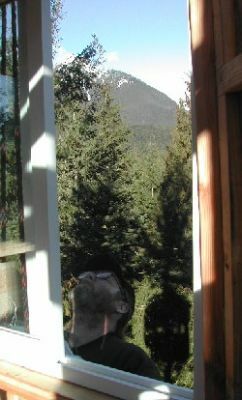 Mountain goats on Mt. 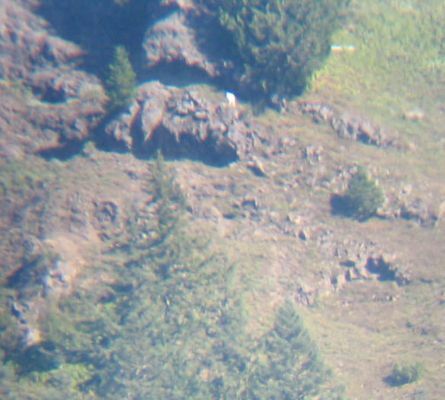 Wow and climbers nearing Camp Muir can often be seen with binoculars and spotting scope. 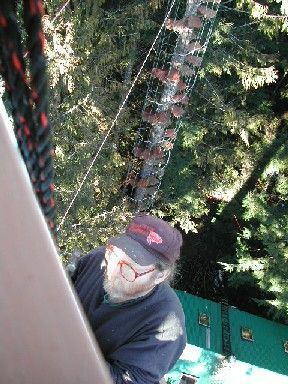 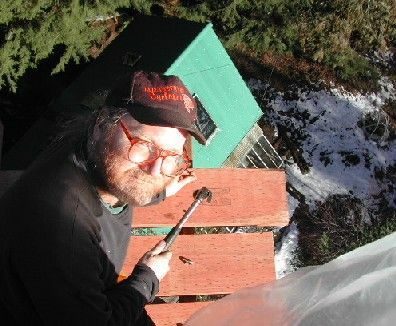 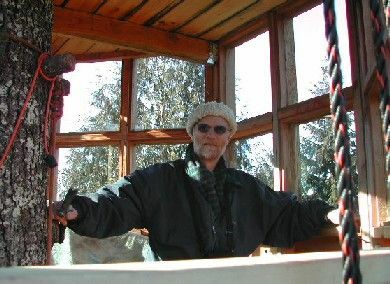 Hoisting the treehouse walls and roof sections was a group effort, and a challenging project. 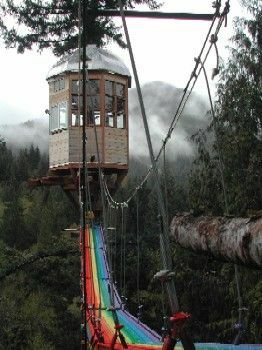 But the end results made it all worthwhile..